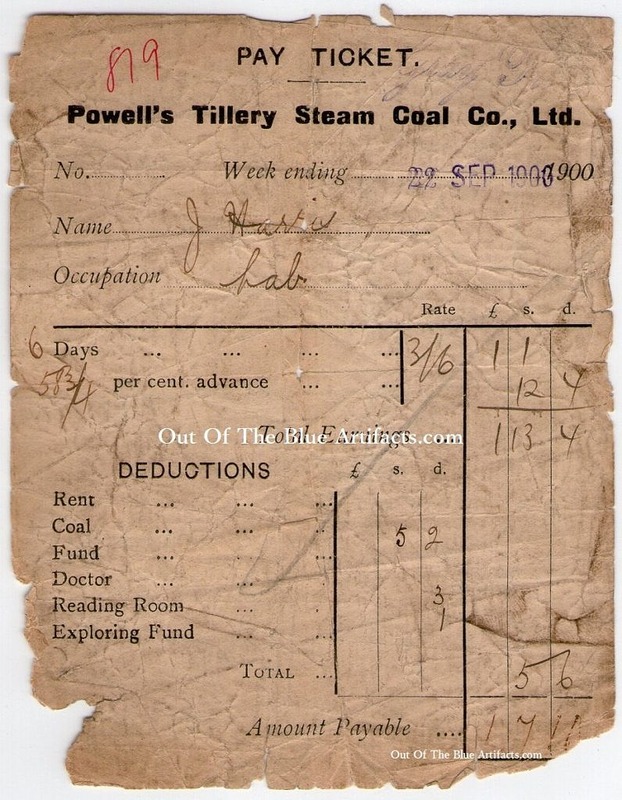 Powell’s Tillery Steam Coal Co Ltd Abertillery – Wages Docket. Powell’s Tillery Steam Coal Co Ltd, Abertillery. Wages Docket. 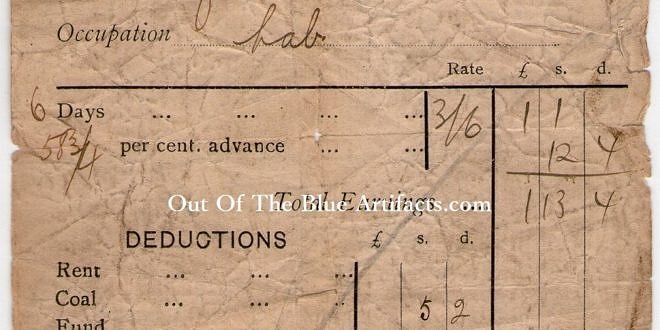 The 3 Collieries owned by the Powell Company (Gray, Vivian and the Tillery) used the same letter heads on all dockets, though each individual colliery had its own Blue ink stamp on the top right corner. This docket is stamped The Gray Colliery.